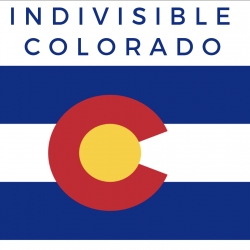 53,200 Federal employees work in Colorado. They are working without pay or not working at all. And the rest of us? We run the stores & restaurants workers aren’t frequenting; we go to the parks filling up with garbage; we run small businesses that need permits; we go to the courts that are closing. Americans brainwashed by the right don’t understand that 1. Government is improves all our lives locally in significant ways 2. Government workers are people who bear little resemblance to horrors in the GOP Admin. It’s on us resisters, again, to help the people hurting, and to elevate the issue. Make calls to End the #Shutdown through connecting voters with representatives in key states! 2. January 23: CALL CALL CALL! ONE NUMBER TO CALL ALL: Looks like a Senate Vote Thursday on Trump’s awful response–don’t let our Dems Waver! Call 1-844-236-2373. 3. Help those who are hurting! This link will take you to a means to order food and goods for Denver-area furloughed workers. Create a list for your area! The hurt won’t stop even if the gov. reopens. 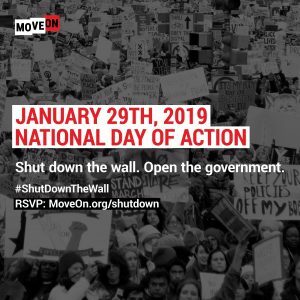 29th to coincide with national actions. This event needs all of us, everywhere! Organize an event near you–and promote it! Sign-up in the comments on this Facebook page. Let people know, by holding signs on streetcorners that “WE ARE SHUTDOWN!” Hold signs that say how YOU are impacted by the shutdown, and that say how many times the Dems have votes to REOPEN the government. Help organize and participate! The most important thing you can do today? Calling your senators to vote against Trump’s anti-immigrant bill and instead pass a clean Continuing Resolution! Former Congressional staffer here. I sometimes hear from people who say they don’t see the point of calling their Senators anymore – either because they’re reliable Democrats or they’re consistently Trump-appeasing Republicans. Here’s why that’s wrong. First, let’s talk about “good” Democrats. Just because a Dem is taking the right position today on the shutdown doesn’t mean they *feel* like they’re on strong ground. You call because they might be nervous. You call because they rarely hear from people who are happy with them. Even when Dems are unwavering on an issue – and Dems are holding up really well on the shutdown right now – they’re still tracking the ratio of pro/anti-calls on that issue. They use that as a metric of whether they’re winning the public opinion fight. 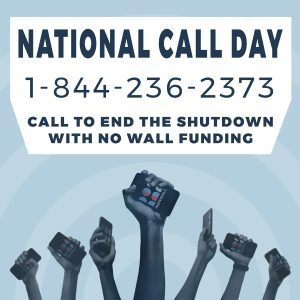 Right now, we KNOW that pro-Trump nativist groups like Numbers USA are driving floods of paid pro-wall calls to Senate offices. That makes wobbly Dem Senators – even the ones in pretty safe blue states – freak out. So we have to keep calling to counterbalance that. Now on the other side: there are a lot of Republican Senators who will never publicly break with Trump in any meaningful way. Because they’re cowards. But Republicans didn’t want this fight AT ALL and privately, they are very worried that they’ll be blamed. And they, too, are watching the ratio of calls coming into their offices. Calls are how they figure out exactly how much trouble they’re in, and whether they need to shift their strategy. What R’s do in private matters a lot right now. We need as many Republican Senators as possible begging Mitch McConnell to end this standoff and reopen the government. We won’t see those conversations. We’ll only see the end result. In conclusion: CALL YOUR SENATORS. Every day. 1-844-236-2373. 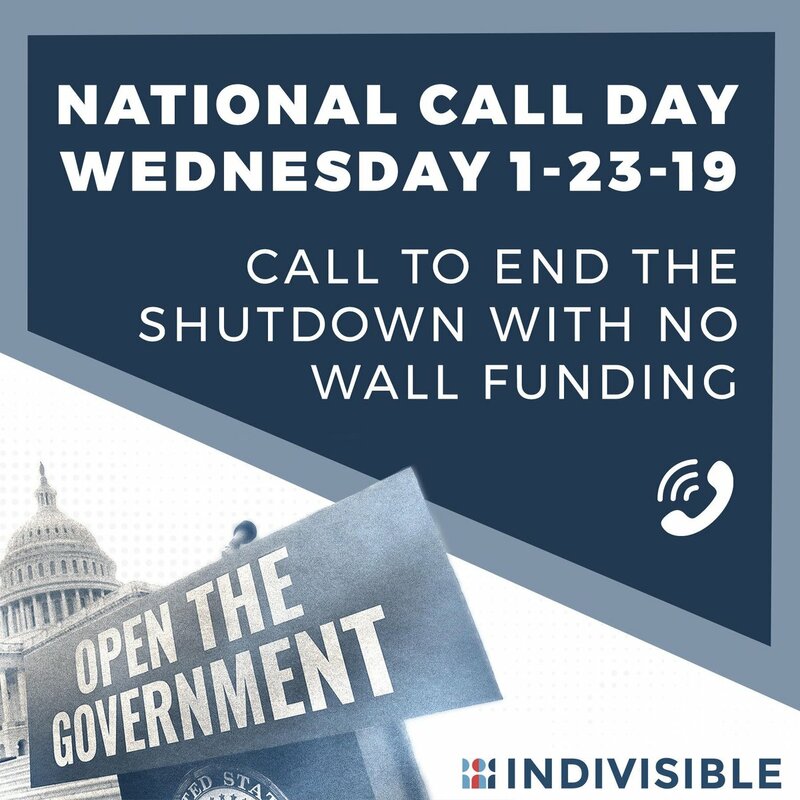 And join our National Call-In Day, coming up 1/23. Your calls matter, whether you’re in a red, purple, or blue state. You might not see it, but they do. The urgency to keep up the pressure on our Senators only gets higher the longer the #TrumpShutdown drags on. Mark your calendars (and charge your phones!) 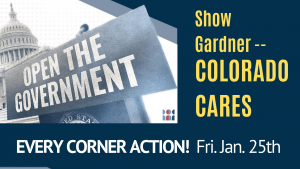 for a national call-in day of action on Wednesday, 1/23. and because I work for @IndivisibleTeam I am contractually obligated to end with: call ONLY your Senators. They are the ones who work for you. Senators in other states do not work for you and do not care what you have to say.